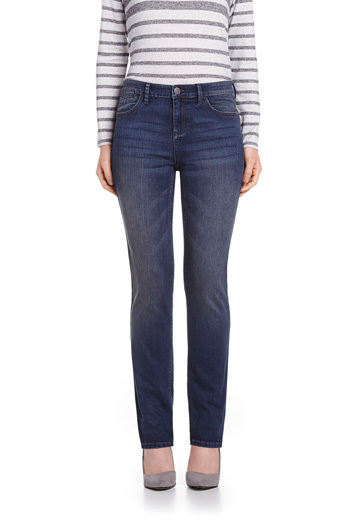 Let your personality shine with these jeans with front seam that flatter the silhouette. Featuring pockets at the front and the back, these medium wash skinny jeans are basically your next go-to! Pair them with a light sweater and heels for a trendy look. Front rise: 8 1/2"; Inseam: 28"; Leg opening: 5 1/2"